CAT6 is fast becoming popular Ethernet cable in Canada and replacing CAT5e with a range of network cabling almost supporting twice the speed of later. CAT6 is the sixth generation of twisted pair Ethernet cabling having four pairs of copper wire and fully utilizes all four pairs unlike Cat5e. CAT6 supports Gigabit Ethernet speeds up to 1 gigabit per second (Gbps). Cat 6 cable is ideal for data, video and security network installation where heavy bandwidth is required. When used for 10/100/1000BASE-T, the maximum allowed length of a Cat 6 cable is 100 meters or 328 feet. 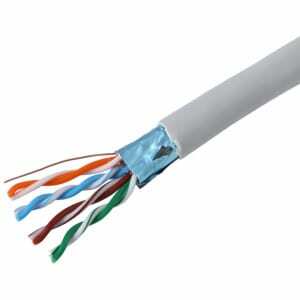 Cat 6 is backward compatible with the Cat 3, Cat 5 and Cat 5e cable standards. An enhanced version of CAT6 called CAT6a supports up to 10 Gbps speeds. .